Butterscotch and Doodles: Illustration Friday word: "Match"
"You're creeping me out,man." says the puppet. "He mec tu me fais flipper" dit la marionette. Et une idée un peu plus bidon. Désolé pour la qualité, po de scanner :-( bouh. 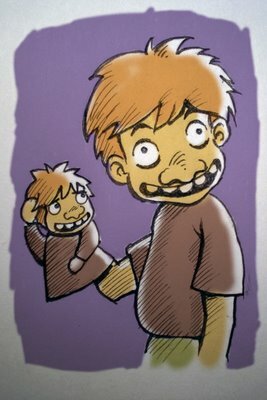 That is one creepy puppet! Love the drawing and the concept. 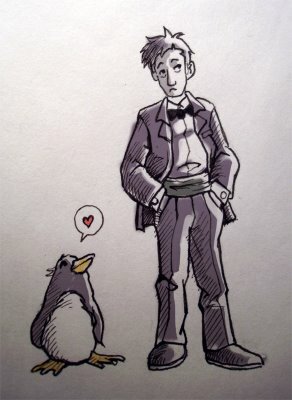 The penguin and man is so sweet, just melted my heart a little. mercredi, août 23, 2006 5:24:00 p.m.
Love the puppet. Made me laugh! jeudi, août 24, 2006 12:19:00 a.m. These are both really great! Both made me smile! 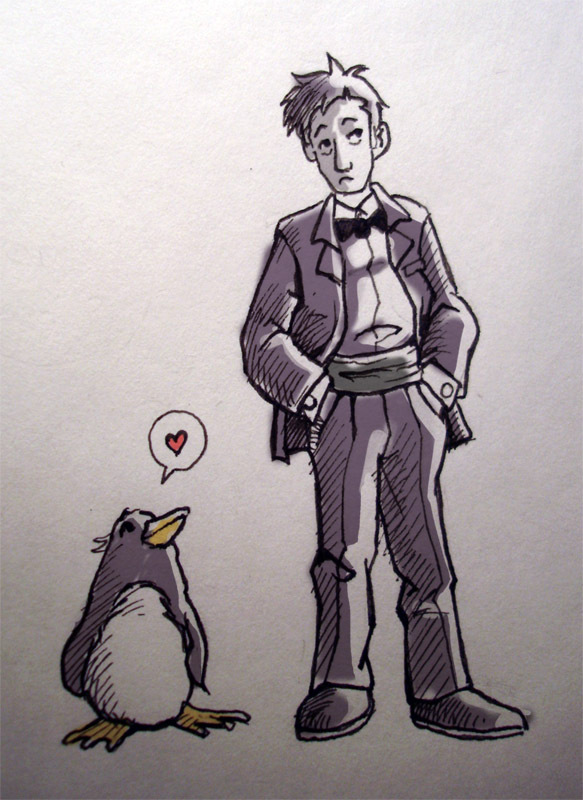 jeudi, août 24, 2006 4:03:00 p.m.
lundi, août 28, 2006 2:53:00 p.m.
awwwww.....love the penguin match! It could work!! Great stuff! Good to hear from you! mardi, août 29, 2006 8:10:00 p.m.
Ha, these are great man! vendredi, septembre 01, 2006 5:49:00 a.m.
dimanche, septembre 10, 2006 8:53:00 a.m.
Love hand puppets, very cool idea! Love the creepy puppet too!! Hope you're having fun in Canada..
lundi, septembre 11, 2006 3:58:00 p.m.
Hi everyone, thanks for passing by and leaving these nice comments. I've been busy lately, but I hope to put some new stuff on the blog soon. Take care ! samedi, septembre 16, 2006 1:01:00 p.m.